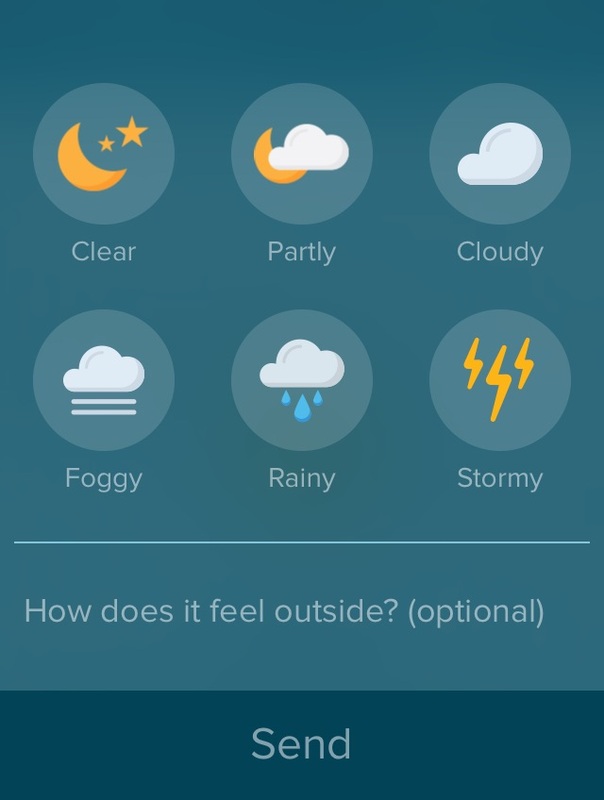 Such a neat idea: improve the granularity of weather forecasting by getting users to report the weather where they are! Although they talk on the site about iPhone 6 and its barometric sensor, that's not necessary to use this. I have it on my iPhone 5S and it works fine. I do find that I sometimes need to swipe it out of memory before it will let me report conditions. They say they are exploring other platforms (including Android) and opportunities that sensor technology will bring for Sunshine.